Remodel Your Soothsayer is not about why one should believe in Astrology and other similar subjects but it is an attempt to improve and expand one’s perception of the forces at play. The author remarks on the existence of a relation between an individual and the unseen factors that may be relaxing, beneficial and more comprehensible by incorporating rational theories already active in our Life. Through the book, the author tries to address certain aspects attached to the mystical unseen world and how a change in perspective help in widening our views regarding this field. The cover art provided the numinous experience often associated with the astrological space ruled by planetary bodies. The colours used provide vibrancy in the cover and illustrate the subject matter within the book well. The title and the blurb of Remodel Your Soothsayer indicate towards a newer outlook and reconstruction on the concepts relating to predictive arts as well as a discussion on certain theories that may impact the reader’s opinion on life and destiny. In this book, a few interesting concepts are hosted where the author tries to reconstruct the fixated perception related to astrology. It is not advocacy on astrology but an urge for broadening one’s understanding in regards to the mind, body, spirit and destiny. By going through it, I have recognized and adopted certain point of views the author Jayanta Bhaumik enlightens the readers on. 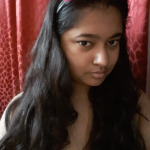 The author discusses how astrology is not a science that can be verified through experiments but a subjective approach to speculating life chances which shouldn’t be generalised as it follows different paths in terms of their interpretation and/or common understanding methods. He discusses on astrological predictions, hoaxes in astrology, myths and mysteries of astrological remedies among many other. Through its midst, he tries to free an individual’s limited knowledge in this field and provide a clearer picture on approaching it. Remodel Your Soothsayer basically probes on the relation between the known and the unknown, capturing the core of the unseen elements that often baffles, confuses or mesmerises people and while using logical reasoning, elucidate its real essence. Although I can appreciate the author’s intention, the same cannot be said to his approach towards the topic or use of language. It was of an advanced level with terms and concepts out of my grasp. Thus, it was not an engaging read for me as I had to read certain sentences, again and again, to understand the author’s point of view and even felt like skipping some paragraphs due to low engaging content. Like me, some readers may find it difficult to concentrate or follow the text. The realm of the Planets and the symbolic interpretations can be twisty, complicated and bewildering for an individual. The author has strived to set straight varied judgments in relation to this enigmatic world of astrology and related studies with the help of several scenarios, citing parts of acknowledged literature and stating wide-ranging standpoints while also urging readers to think out of the fixated ideas. I couldn’t enjoy the book to its optimum level due to my inexperience in this field. However, I may recommend this book to someone who is actually familiar and interested in the topic discussed in this book and, who would want to expand their understanding more on this field. Can’t wait to read it? 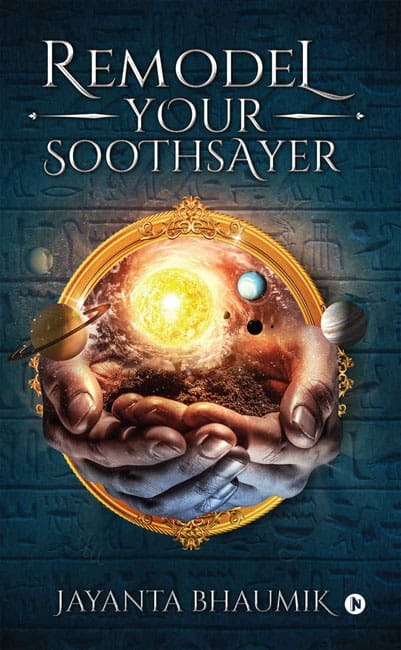 Buy your copy of Remodel Your Soothsayer using the link below.